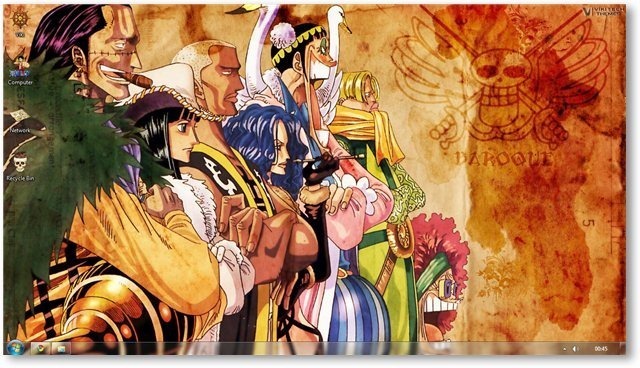 Since the time we started the Anime section for Windows 7 Themes, One Piece was one of the most requested animes. Creating this theme was a challenge and took so much time, since we wanted to include some of the best work by various artists in this theme, and needed to wait for the permission to use their work. 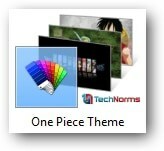 And now the wait is over and you can download the One Piece theme below. 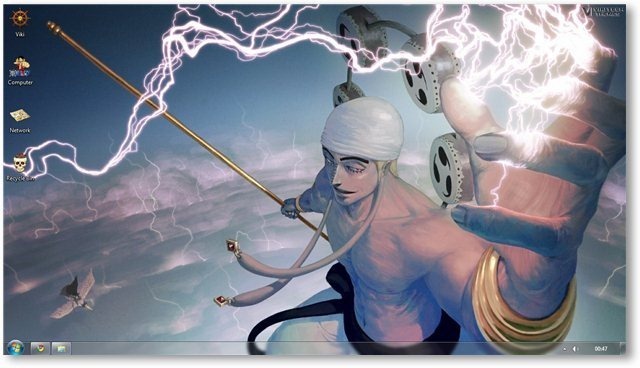 Pirate King Gol D. Roger, more commonly known as Gold Roger, was a legend – while living and in death. 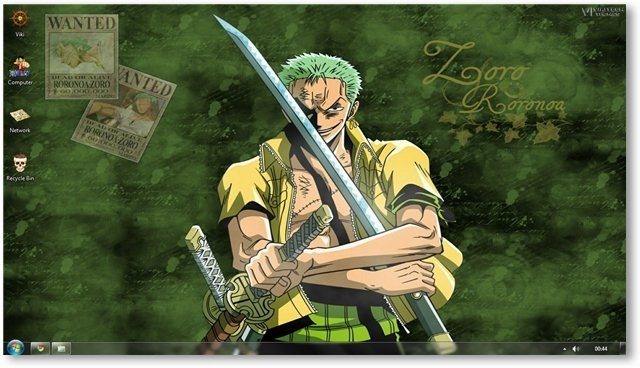 In his lifetime he not only conquered the The Grand Line but also owned the legendary treasure One Piece. Just before his execution, he revealed the existence of One Piece and that he had hidden it on The Grand Line. His words triggered off The Great Pirate Age that still continues. 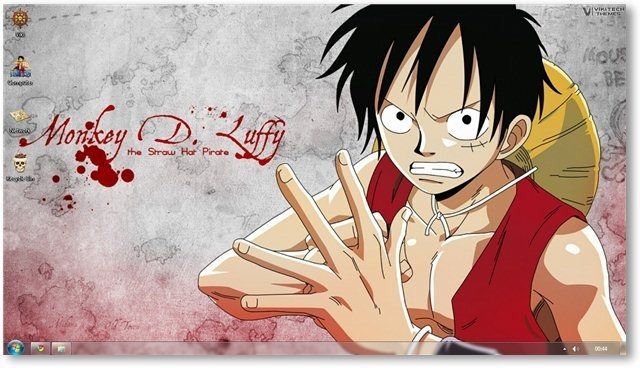 It is in this age that Monkey D. Luffy starts a journey to fulfill his dream – to find One Piece and be The Pirate king. 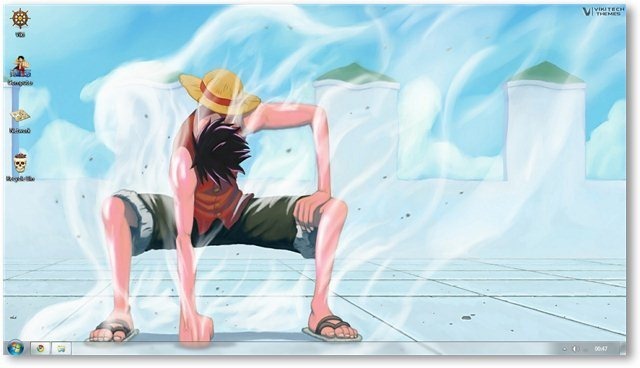 The world of One Piece is full of characters with mysterious powers – those who have eaten the Devil’s Fruit to get a special power but forfeiting their ability to swim. Luffy accidently ate the Gomu fruit when he was a kid and is thus now a Rubber Man. As Luffy starts his adventures, he gathers his Nakama – Zoro (Ex-pirate hunter/Swordsman), Sanji (Cook), Usopp (Sniper), Nami (navigator/thief), Chopper (Doctor), Nico Robin (Archeologist), Franky (Cyborg/Shipwright) and Brook(Skeleton/Musician). Together, they go on a journey that is as humorous as it is adventurous. 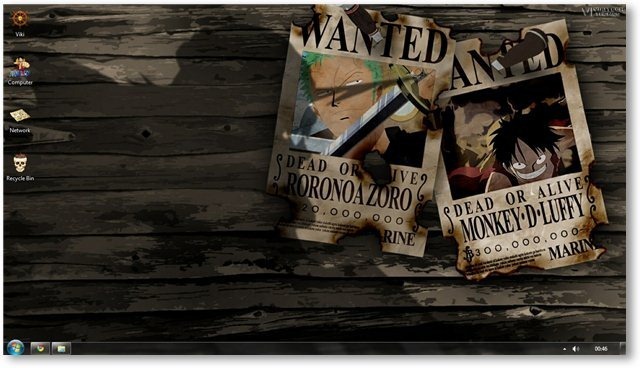 On an adventure that started over a decade ago, a new era is coming as the StrawHat Pirates go to The New World. This theme is a dedicated to one of the best animes of today. 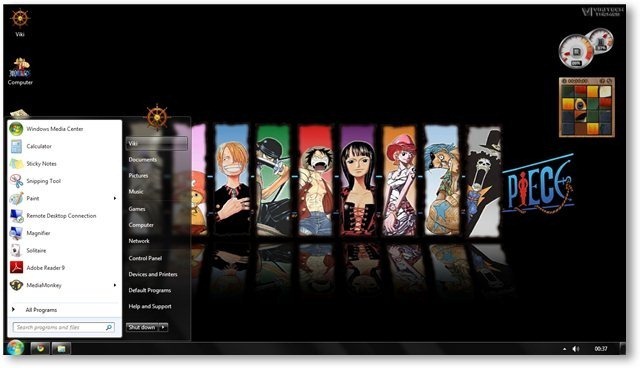 One Piece Theme for Windows 7 & 8 consists of 45+ Hi-Res wallpapers, custom icons, cursors and sounds from the anime. These are just a few of the 45+ Incredible wallpapers that are included in this theme. Download the theme to get them all. 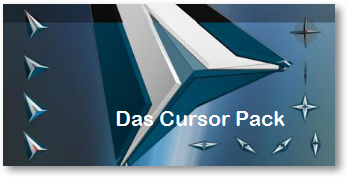 This theme comes with a special Cursor pack to set it apart from all others. Along with cursors, we also have custom Icons and cool music from the Anime to go with this theme. Download the theme directly by clicking the link below. 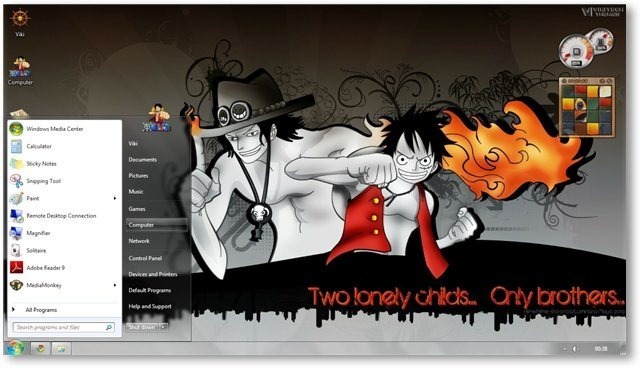 You can also check out many other themes in our Windows 7 Themes Gallery. If you need any help with installing the theme, please read our installation guide – How to Download & Install Windows 7 Themes. 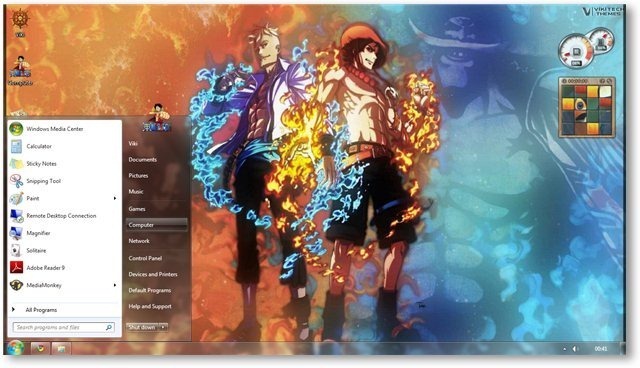 Download One Piece Theme for Windows 7. 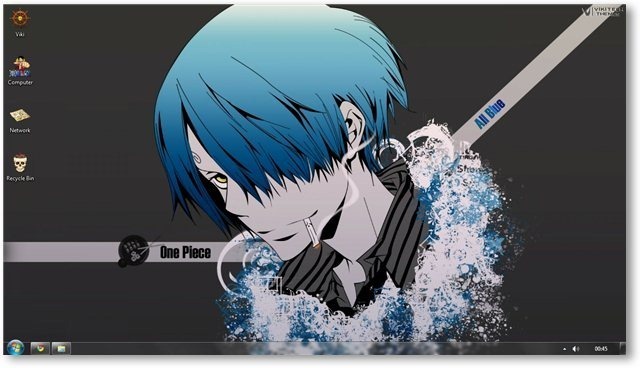 Also explore other Windows 7 Anime Themes. One Piece first appeared in the Weekly Shonen Jump on August 4, 1997. 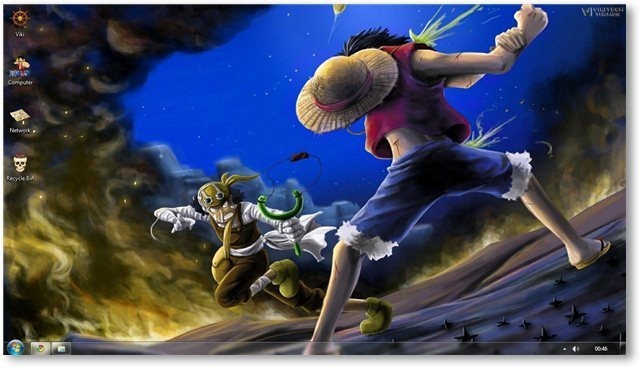 One Piece is the highest-selling manga in the history of Weekly Shonen Jump in Japan. Luffy has a interesting family tree – Grandfather is Marine Vice-Admiral, Father is a Revolutionary and he himself is a Pirate. All of Luffy’s nakama join him to pursue their own dreams.